I received this adorable little set as a gift in my Christmas Stocking. I had not ever heard of these products before, but, I have to say, I am quite impressed. Unlike the other "bees" lip balm, this one is very moist. I feel like it actually hydrates my lips and I like the Orange Blossom Honey scent. The Hand & Body Lotion is not greasy feeling at all. The lotion is a little thinner than I would like, but I do believe it hydrates the skin well. My hands feel very soft after every use. I like the Hand Sanitizer too. It has the same refreshing Orange Blossom Honey scent and it does not seem to dry the hands out. I know many people want to support organic and natural products, so I decided to share these with you for my #MakeupMonday tip day. 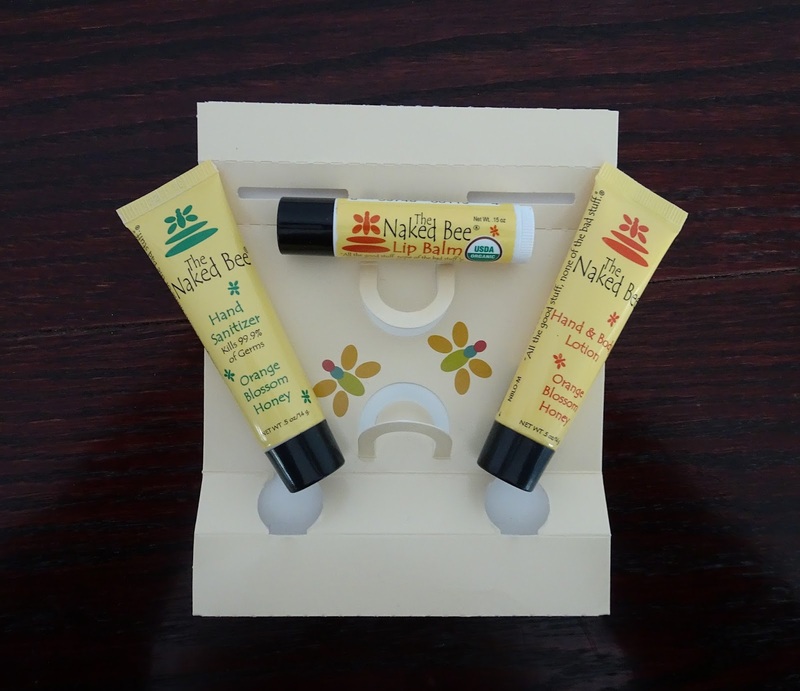 You can find out more about The Naked Bee products on their website by clicking here.